On an installment of their “Pod Save America” podcast this week, former Obama insiders Jon Favreau, Jon Lovett and Tommy Vietor interviewed “Veep” commander-in-chief David Mandel, who took over the show from creator Armando Iannucci in the Julia Louis-Dreyfus comedy’s fifth season. It returns for its sixth season Sunday. “The funny thing about ‘Veep’ is, we as people who worked in the White House always get asked, okay, what’s the most real? Is it ‘House of Cards? Is it ‘West Wing’? And the answer is, it’s ‘Veep.’ Because you guys nail the fragility of the egos, and the, like, day-to-day idiocy of the decision-making,” Vietor said. Mandel said that fragility and idiocy transcends political party. 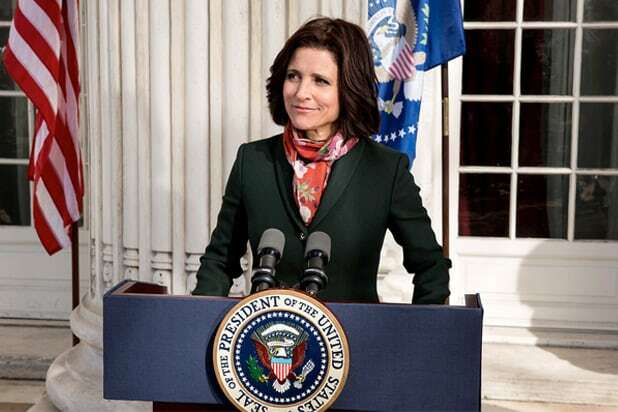 Though Season 5 ended (spoiler alert) with Louis-Dreyfus’ Selina Meyer unexpectedly leaving the White House after a messy election. The show didn’t plan to parallel Hillary Clinton’s loss to Donald Trump. But Meyer, like Clinton, now finds herself the surprise loser of an election she very much expected to win, and trying to decide what to do next. Mandel said the realism of the show reflects its intense research.